In this amazingly prophetic work, done late in his career, Herbert Spencer offers an approach to ethics that anticipates developments throughout the twentieth century. He moves away from the twin evils of ethical doctrines bequeathed to us by an ancient past that are simply no longer feasible but also avoids modern standards of ethical conduct that are simply impossible to attain. "By association with rules that cannot be obeyed," Spencer writes, "rules that can be obeyed lose their authority. "The volume opens with three chapters on conduct: its evolution, good and bad, and ways of judgment. This is followed by a series of chapters that examine ethics from a variety of scientific perspectives: physics, biology, psychology, and sociology. 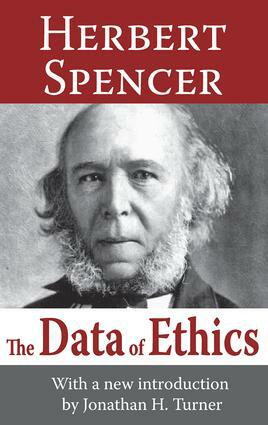 The work then moves on to specific issues of deep human concern: the relativity of pleasures and pain, egoism versus altruism in explaining actions, and trial and compromise in decision-making about ethical concerns.Spencer's work anticipates the movement toward pragmatic, naturalistic, and even positivist approaches to ethics. He emphasizes that a relativist approach while in keeping with the spirit of the industrial age, also poses a variety of problems that admit only of empirical solutions. He understands that his critical stance on absolutism should not blind researchers to the ideals assumed by the ancients that assist people in their everyday living. In short, this is a remarkable work, entirely modern, and yet containing a sharp evaluation of how ethical data serve to enhance ethical conduct. The Relativity of Pains and Pleasures.